EdUCate! is a nonprofit foundation established in 1993 with the goal of providing supplemental funds to all five University City public schools. Join us for our 25th Silver Anniversary Taste of the Triangle, featuring tastes of cuisines from local restaurants and chefs and a silent auction with online preview and bidding prior to the event. Have you donated more than $500 this school year to EdUCate!? We would love to see you at our VIP Reception. Excellent education is something that we expect in our community. Just $1 per school day ($180) or $1 per calendar day ($365) helps fund Teacher Grants, Principal Grants, EdUCate! Math Academy, Jr Achievement BizTown and more. If you contribute at the $180 level, you will receive unlimited beer, wine, and soda pours for two people at Oktoberfest! Do you know a teacher, counselor, or staff member who has made a difference in your child's life? If so, you can thank them through EdUCate!’s Honor A Teacher program. Make a donation in their name and they will be honored at a staff meeting, in our newsletter, and online and they will receive a short personal message from you. Ms. McCabe applied for a Teacher Grant to receive guided reading books from the Rigby PM collection. 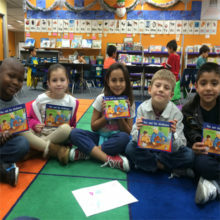 "The books are being used by all my students throughout literacy time and then are being used during ELD which includes students from the other first grade classrooms. EdUCate! is a member of the Amazon affiliates program. When you use our link below, EdUCate! receives 4% to 10% of your Amazon purchase for our UC schools. EdUCate! 's Party at the Cove and was held on Tues, May 15, 2018 at the Crab Catcher, La Jolla, 5:30 - 7:30 pm. View the pictures! EdUCate! scholarships are awarded to UCHS students in their senior year attending a two or four year college in fall of 2018. Applications can be picked up in the UCHS counseling office. Each year EdUCate! 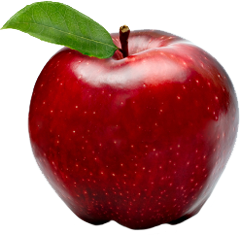 commits at least one-third of its donations to teachers. During Fall 2018 we distributed over $20,000 in grant monies to UC teachers.